Product Description Low-Profile Curves. The soft curves of the Brigid upholstered Queen bed may just lull you to sleep. It bears a classic profile yet possesses contemporary touches like a button-tufted upholstered headboard and upholstered side rails in the same color. Unique Features: Dense padding of the upholstery ensures durability. Neutral cream hue blends with most design styles. Queen bed includes four wooden slats and four center support legs with adjustable glides for added support and stability. High-density foam core indicates quality tailoring. 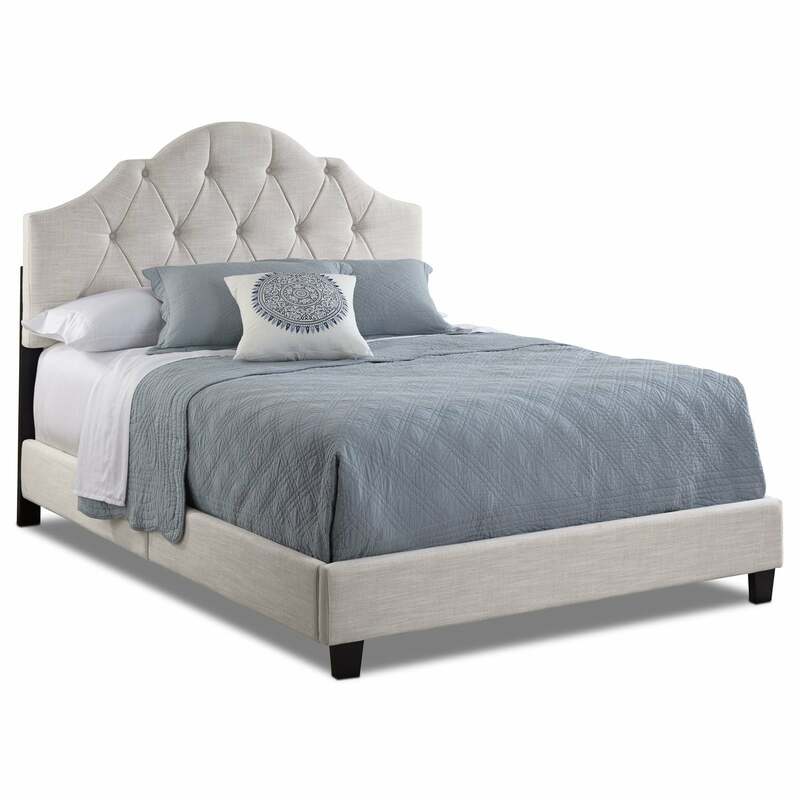 Classic profile has contemporary touches like a button-tufted headboard. Care Instructions: Spot clean with upholstery shampoo, mild detergent, or mild dry cleaning solvent. Do not saturate with liquid.